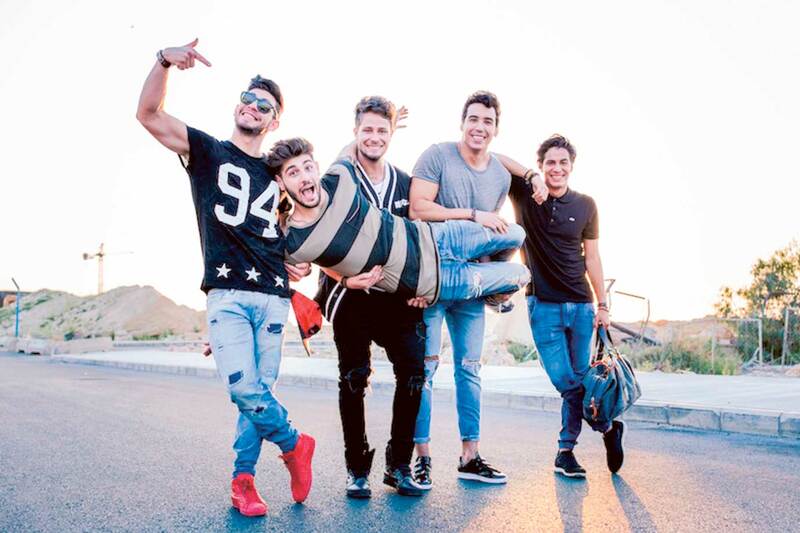 Arab boy band The5 dropped their latest electro-pop single Ala Tabeetak Koon (See The Real Me) on Thursday. “Be yourself, you are life itself. No one knows what’s inside you but you,” the boys sing in the lead-up to a chanting chorus. The song was recorded in Sweden with Sony Music producers and co-written by The5 — Ahmad Hassan (Egypt), Said Karmouz (Algeria), Adil Echbiy (Morocco), Mohammad ‘BMd’ Bouhezza (Algeria) and Kazem Chamas (Lebanon) — and Lebanese lyricist Salim Assaf. “We are super hyped up about this single, because the lyrics are dedicated to our fans who are the strongest and most passionate in the world,” said Chamas. The single is available through Anghami, iTunes and Apple Music. The music video was scheduled for a 6pm premiere on the Clean & Clear YouTube channel.